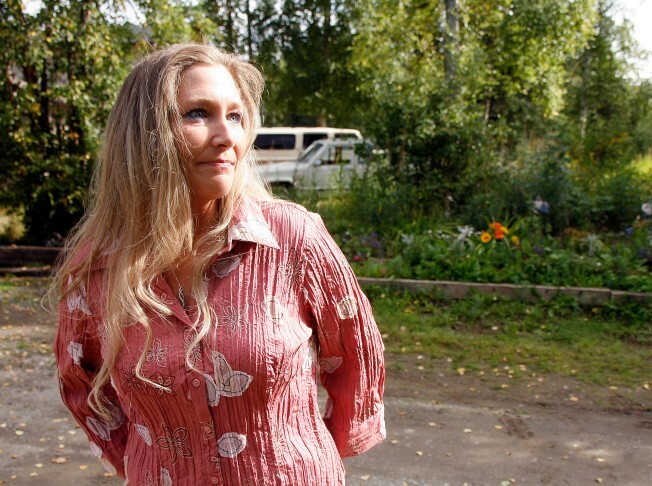 Sherry Johnston, mother of Levi Johnston, talks about her son at her home in Wasilla, Alaska in Sept. 2008. Alaska State Troopers arrested Johnston Thursday, Dec. 18 and charged the 42-year old with six felony drug counts. ANCHORAGE, Alaska - A drug investigator says authorities delayed the arrest of a woman tied to Gov. Sarah Palin's family until after the November election, in which Palin was the Republican vice presidential candidate, a newspaper reported. Sherry Johnston — whose son Levi Johnston is engaged to Palin's daughter, Bristol — was arrested Dec. 18 on six felony drug counts. She is accused of selling Oxycontin, a strong prescription painkiller, and pleaded not guilty Monday. Investigator Kyle Young sent an e-mail to the Public Safety Employees Association saying the search warrant of Johnston's house was delayed for political reasons, the Anchorage Daily News reported. "It was not allowed to progress in a normal fashion, the search warrant WAS delayed because of the pending election and the Mat Su Drug Unit and the case officer were not the ones calling the shots," Young wrote in the Dec. 30 e-mail. The warrant was delivered the same day as Sherry Johnston's arrest. Public Safety Commissioner Joe Masters insisted the case was handled fairly and said no one in the governor's office knew troopers were investigating until Sherry Johnston's house was searched. After the house was searched, Masters said he called Palin's chief of staff, Mike Nizich, to alert him of a potential media frenzy. Col. Audie Holloway, the troopers' director, also vigorously disputed that there was anything irregular in how the case was handled. A message left for Young with his union was not immediately returned Monday. Levi Johnston and Bristol Palin recently announced the birth of their son. The baby, Tripp, is the governor's first grandchild. Palin and the Public Safety Employees Association, which represents troopers, have sparred over a high-profile dispute that became known as Troopergate. At the center was former commissioner Walt Monegan, whom some say was dismissed because he would not fire a trooper involved with a messy divorce with Palin's sister. A Legislative Council found that Palin had abused her office but the firing was legal since Monegan was an at-will employee. 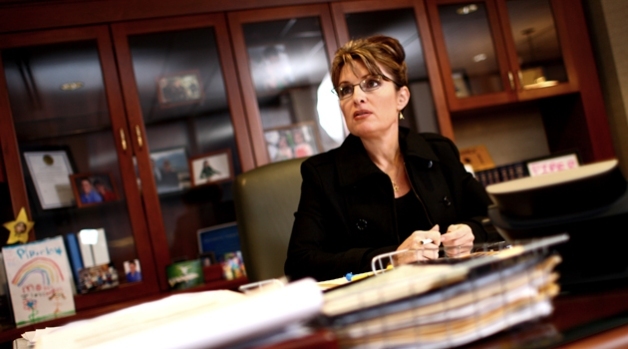 A subsequent investigation by the Alaska State Personnel Board found there was no probable cause to believe Palin or any other state official violated ethics laws. Palin maintains that Monegan was ousted over budget disagreements.